A beautifully kept site with views over the surrounding hills and countryside of Southern Ireland, in an area perfect for walking and sightseeing. 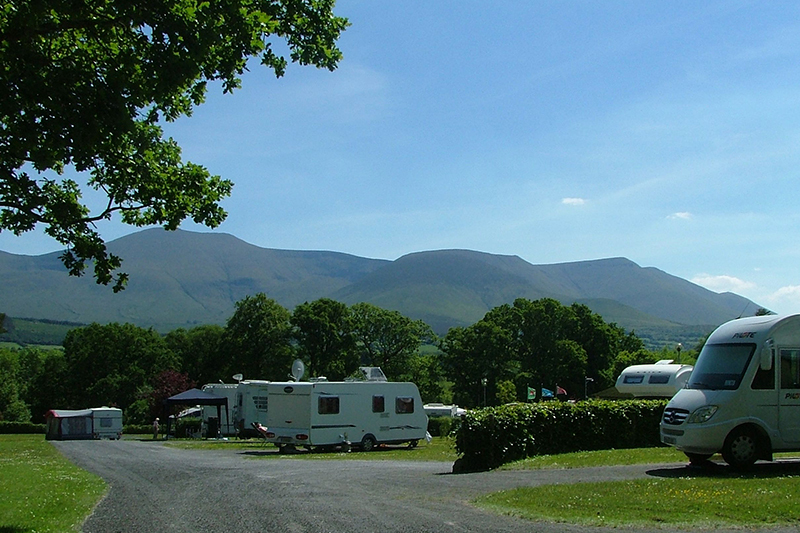 Glen of Aherlow Caravan & Camping Park is quite simply a stunning park to stay at - situated in the heart of one of the most picturesque valleys in Ireland, voted 'Ireland's Best Inland Holiday Destination'. Surrounded by woodland this secluded, beautiful Glen lies between the dramatic Galtee Mountains, Ireland's highest inland range, and the slopes of Slievenamuck. For the adventurous, these towering Galtee slopes and the five Corrie lakes are just waiting to be conquered. Many woodland walking routes, including the lake walks to Lough Curra and Lake Muskry, can be taken from the campsite, and it is also a superb area for bird watching. The touring area consists of mostly hardstanding pitches, some grass, some fully serviced, all with 10 amp electric hook-up, water and WiFi, with great mountain views. 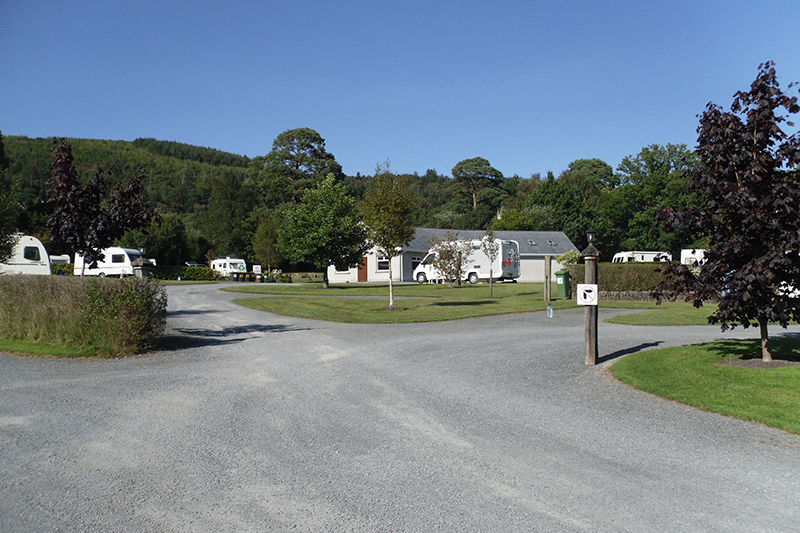 A campers' shop, games room, TV room, laundry modern toilet and shower block, and battery charging are all available, and the park is also dog friendly. One of the major attractions in this area of Ireland is the iconic Rock of Cashel, which is a group of medieval buildings set on a limestone outcrop. If the weather is wet the whole family will enjoy Mitchelstown Caves, one of Europe's major show caves. You can stroll through three massive caves, surrounded by drip-stone formations of stalactites and stalagmites.